Feel free to let me know what you think of the changes as you notice them. And please, do tell me if there’s anything you particularly loved or hated about the old blog that you would have to see disappear (or stay!) No blog is an island, or something like that, and you can help me to make the blog something more awesome for you. Also, thank you to everyone who has taken the time to provide such supportive and thoughtful comments on the last two posts, about Motivation and making Connections. Joan, Carol Emma, Sarah, Kerry, Kristin, Liesl, and Emily — all of your comments have been so wonderful, but that isn’t a surprise, given what lovely blogs you all keep. I wish I could make real-life connections with each one of you. 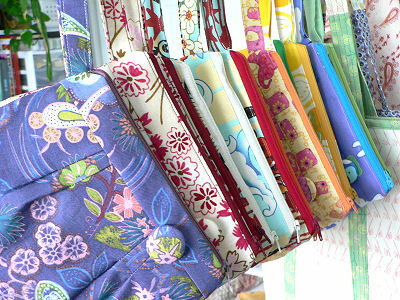 My first craft show, the Fancy Schmancy Flea Market, is coming up this Saturday, May 30th! (So if you are near Peoria, Illinois, please come check it out. The weather is supposed to be lovely!) I’ve been preparing by building up Anodyne Design stock, buying a fancy new canopy (just in case the weather isn’t so fine), and researching like crazy what one should know about selling at craft shows. 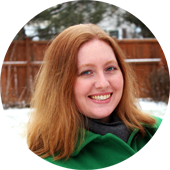 I have found lots of helpful information online.The Etsy forums have lengthy discussions on Craft Show Success Tips and What Not To Do At A Craft Fair. I gather some of this is really a matter of personal opinion (are you allowed to sit, or must you stand at all times? Do you talk to your customers, or leave them be? ), but other things seem more general, like being sure to mark your prices and making sure you don’t smell. I also found some great advice at Hello Craft, Indie Craft Shows, Get Crafty, and Serenity Art. I’ve been thinking a lot about how to set up a booth. Fluffy Flowers has a great series on setting up a craft booth at a farmer’s market. And Flickr has a couple groups devoted to craft fair booths: Arts & Craft Fairs & Shows and Show Me Your Booths. Wouldn’t a nice, cool glass of lemonade just be wonderful right now? Of course, when wouldn’t a glass of lemonade be wonderful? Homemade lemonade, with lots of sugar, is one of my favorite summer treats. 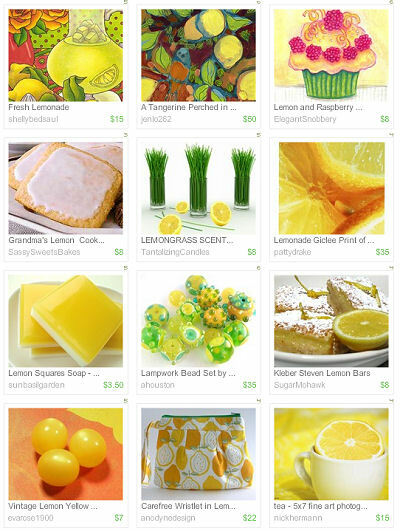 So how perfect that I found out my Lemonade wristlet was including in a lemon-flavored themed treasury today. Look at all that cheery lemony goodness! If that’s got you thirsty, check out this recipe for perfect lemonade, or bake up some pink lemonade cupcakes! How cute is this? While I was replenishing my business card stash at Vista Print, I took advantage of some of their other free offers, including the one for free cards. 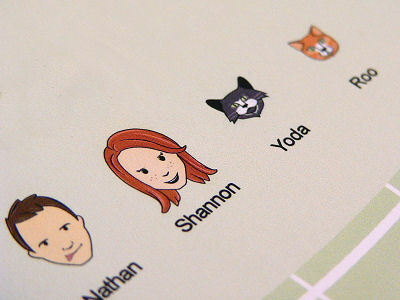 The design I picked allowed you to create little cartoons of your family members (including beloved pets). I love having personalized stationery, and you can’t beat free. Also, SciFi Man and I are loving this chana masala recipe at Thimble. If you like Indian food, you should definitely give this one a try. It’s the best chana masala recipe I’ve found, and it’s quite easy, which makes it extra nice. Mmm, chickpeas! Canary Girl’s delicious Peanut Butter Chocolate Chip Cookies. I made a batch of these for SciFi man and they were gone in no time. I should have listened to her advice and made a double batch. The cookies are perfect: soft and thick and tasty. SO good. I’d post a picture, but we ate them all before I could take one. I’m making a new batch today. SouleMama’s bread bags. What a great idea. And I know a baker who definitely needs a few of his own. I sense a project coming on. Reusable sandwich wraps from Betz White and snack bags at re-nest. I love the idea of finding another way to stop sending plastic to a landfill. Google Reader’s Next button via HELLOmynamisHeather. I love being able to check my RSS feed and still see new posts in the form in which they were intended to be seen, all with a single click. If you use Google Reader, you should definitely give the Next button a try. I did some sewing over the weekend and made up some new cloth napkins. They’re much prettier than paper napkins, and I feel good about not wasting paper napkins or paper towels, too. They can also be quick and easy to make. 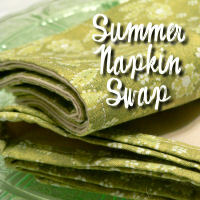 So I decided it would be fun to start a summer napkin swap at Swap-Bot for handmade cloth napkins. 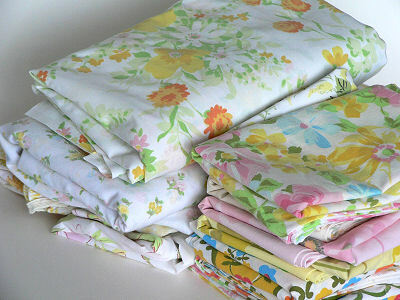 I hope you’ll join me and trying making some cloth napkins, too. If you haven’t made cloth napkins before, here are some tutorials to get you started. I think you’ll quickly see that they are simple and there’s no one way to make them. I’ve got a 50% off coupon for the fabric store, and I’ve decided today’s the day I’m going to use it to buy a bunch of canvas and make myself the reusable grocery bags I’ve been thinking about for months. I save all the plastic bags I bring home from the grocery store and reuse them at least once, but I know that’s still not good enough, and I would rather not bring them home in the first place. G2BGreen.com has an excellent article about plastic and reusable bags that includes some eye-opening statistics. Statistics that make me think I need to stop putting it off and get my reusable bags made. I did not know that it could take 1000 years for a plastic bag to decompose, and with the number of plastic bags most of us are using, that amounts to a massive pile of plastic bags. I wonder where that pile is? Perhaps part of the pile is in that garbage vortex in the Pacific ocean. With so many patterns, what are you waiting for? Go make a reusable grocery bag! And if you’re like me and don’t have a sewing machine upon which to make quilts and pillows, maybe you should check Etsy for something warm and snuggly. I bet a pair of fingerless gloves from TickledPinkKnits or a beautiful, warm sweater from BDG Designs would do the job. How do you like to warm up on a cold, snowy day?